Click the image above to watch the Bound Printed Matter video. 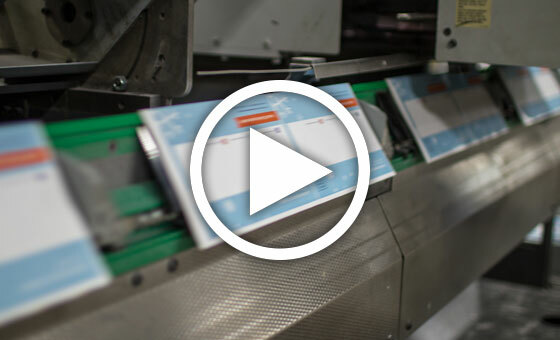 Print solutions, the strategic choice in a digital world. Print is a powerful medium that has withstood the test of time. From woodblock printing 2,000 years ago to today’s rapidly moving digital world, print remains the preferred choice for consumers and businesses. Midstates Group understands print. We want to be your printing partner. Our 40+ years of experience gives you a trusted partner that understands quality and delivery are paramount to your success. We are relentless in protecting customer brands by producing quality, cost-effective work delivered on-time. With all of our production under one roof, Midstates Group gives customers centralized control over their entire process. We print everything from publications to catalogs to direct mail to trade show materials and everything in-between. We work on solutions for publishers, catalogers, marketers, retailers, merchandisers and business owners to maximize their print spend. In a digital world, print continues to stand out as a strategic advantage. Contact us today for more information about how Midstates can help you take advantage of print. We are just like you. We don’t report to shareholders and our employees are our neighbors. We are big enough to handle most jobs and small enough that you can talk with owners each day. We believe our customers are our partners. We are only successful when they are successful. We work with and listen to customers to find the most flexible, efficient printing methods. We don’t just take your idea and print it exactly as we want. We come up with a solution that creates cost efficiencies without compromising quality. Flexibility in our scheduling to help meet customer deadlines. Flexible printing methods whether its various kinds of coating and custom finishes or heat set or cold set pages. Various cut-off options help determine the most cost-efficient option while meeting industry standards. Variety in quantities whether it’s a short run digital project or a large quantity offset project. Optimized versioning to ensure customers the most efficient and cost effective way to produce their materials. Magazines and publications are making a strong comeback. Multiple studies have shown that readers prefer paper over digital. We offer both. 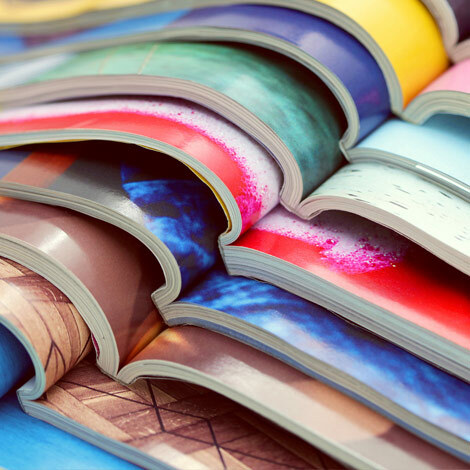 Our customers value our ability to produce cost-effective, long run and short run print publications (that can also be formatted for digital readers) with services including online proofing, paper management, binding and finishing services and mail and distribution solutions. We successfully print and mail publications for consumers, trade organizations, governments and associations across North America. Our equipment and technology are designed to meet your ROI expectations. We understand the nuances involved in engaging your readers and keeping advertisers happy. 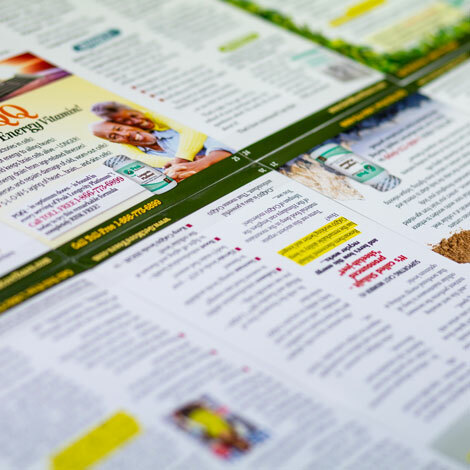 Our customers enjoy the ability to select from a range of finished sizes from Digest to Tabloid with the option of publishing finished materials digitally using an online platform. We love catalogs. They have evolved over the years and we have evolved with them. Choose from a variety of sizes, coatings, and finishing solutions. 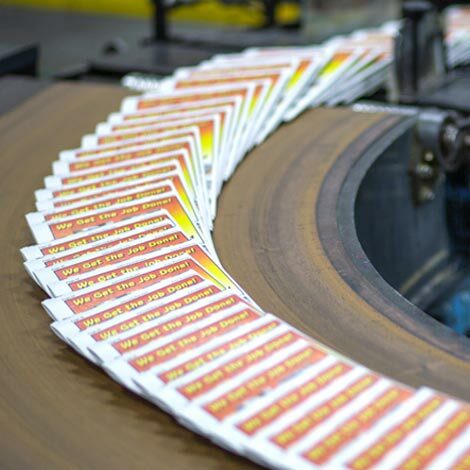 Inkjet personalization, variable data, tabbing, blow-in cards, and tip-ins are a few of the ideas customers choose to make their catalogs stand out. Since the majority of our customers mail their catalogs we offer highly strategic and personalized postal optimization services. Even in today’s digital world direct mail makes an impact. Our customers report response rates are substantially increasing with both their customers and their prospects. We help our direct mail customers not only produce quality products but like our catalog customers, ensure we can help them maximize their postal dollars. See our mailing services section for more information.